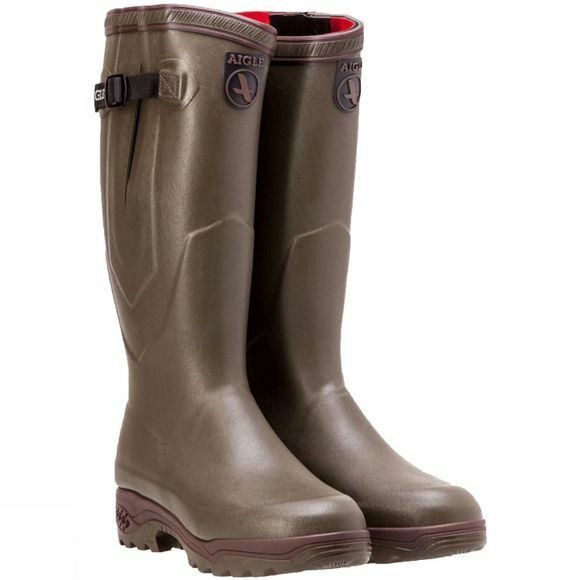 The Parcours 2 ISO welly from Aigle are anti-fatigue rubber boots that are designed with comfort in mind so you can walk for longer no matter the weather. The neoprene linings will keep your feet toasty and warm down to -20°C and the rubber soles have dampening cushions in the heel offering you shock absorption and helps propel you forward, helping you use less energy in the process. 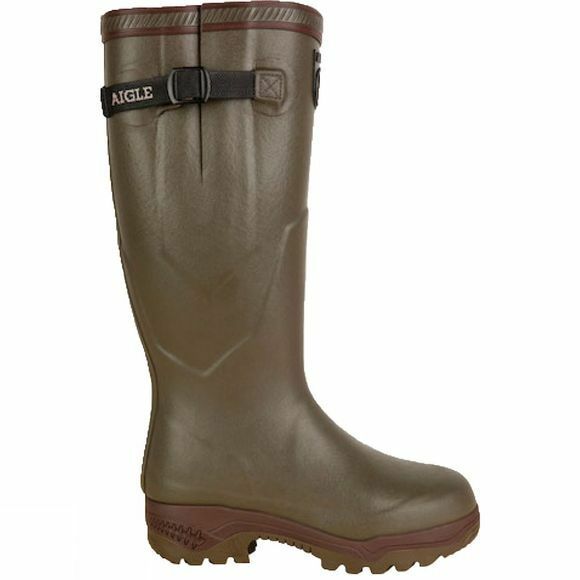 With the adjustable gusset, you can adjust them to your calf size so they stay nice and snug.